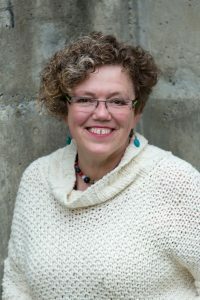 After more than ten years in specialized practice, Ella Forbes-Chilibeck opened an Ottawa boutique law firm where she regularly advises and represents employees and employers in all the areas of employment law, human rights, and disability-related issues before the courts and the various federal and provincial regulatory boards and tribunals in Ontario and Nunavut. Ella works closely with employees and employers to assist with the access to and continuation of short- and long-term disability benefits or with structuring an accommodation plan to enable their successful return to work following a period of disability leave. Ella is also a certified Workplace Investigator. Ella has been a Member at Large with the OBA Labour and Employment law Section for a number of years where she and has been active in developing, organizing and promoting CLE events with a personal goal of encouraging the involvement of a broader group of employment and labour law experts from across the province in such events. Ella continually writes, speaks and moderates at events across the province and internationally on topics relating to employment law, including accommodation, access to disability benefits, workplace harassment and discrimination. Ella is also published in a number of academic journals, including the Health Law Journal and the Journal of Canadian Woman Studies.